In this week’s blog I’m using some of the Library’s online resources to find primary source material relating to the popularity of women’s football during and just after the First World War and the decision by the FA to ban it. The other night on catch-up I watched the Channel 4 documentary When Football Banned Women, programmed to coincide with the Women’s EURO 2017 (which Channel 4 just happens to be showing, it’s like they thought about their programming or something!) 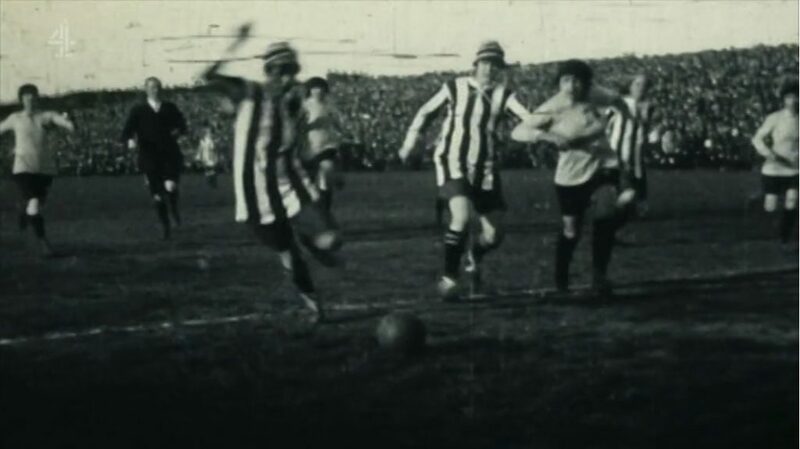 This interesting documentary looked at the rise in popularity of women’s football during the First World War and the subsequent decline after the decision by The Football Association (FA) to ban the women’s game in 1921. If you’ve not seen it you can watch it on Box of Broadcasts (BoB). Screenshot from ‘When Football Banned Women’ (Channel 4). As I am always looking for an excuse to use some of the University Library’s fantastic online primary source collections, I decided this was a perfect story to try and find out more about from our online archives. While I primarily used some of the online newspaper archives the Library has access to for that period, I did do some searching in some other primary source collections that covered the period in question. You can find a list of the specific databases I used at the end of the post.